Can the corporate world put shackles on their employees? There are often too many restrictions and barriers hindering an effective communication between the employees. The x factor of a strong team that can face any challenge that comes its way is missing. A lot of it comes from the fact that the legal framework of companies bound them to stick to a certain set of rules. Contrary to the common corporate belief that too much communication is not beneficial for productivity, there are teams of employees working for small businesses which communicate at all levels and tackle problems as a combine force. This is where Human Resource jumps in. It can and has been a very effective and at times only medium of communication for small businesses to large corporations where the hierarchy is more complicated. The SaaS based market has been deficient in producing such smart tools previously, however these days the research in these areas have led to a conclusion that, building effective communication tools within a system is indispensable. Years of studies prove that if communication relating the daily problems faced by company are to be given a platform it would increase the efficiency and decrease work load of the employees. 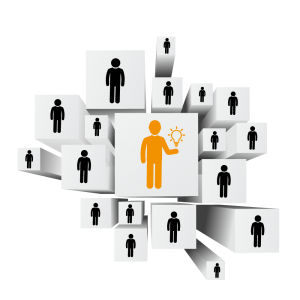 WebHR has made an innovation by providing a platform where employees can communicate effectively and efficiently. “Discussions” in WebHR is a great way to engage your employees to interact with one another by not just asking questions but also by starting discussions. Its like “Quora” but for your employees within your WebHR. So what are you waiting for? Start building your company Knowledge Base by inviting your employees to make the most out of this new module.